So apparently I had a hankering for guavas or I was confused by the look or smell or something (they smell nothing like guava for the record). So the first thing you should know is that these are not guavas. Not at all. They are super fun though! They taste like roses!!!! For realzzzz. I’ve only had one other fruit that was floral like this, the Xinjiang Fragrant Pear and it just smelled like roses periodically. Nothing even close to this level of spectacular floral representation. Yellow oblong fruit with a pronounced stem and a single brown seed. Delightfully firm and crunchy! Moist but not juicy. The seed rattles around inside like a baby toy. This indicates it is ripe. Mellow sweetness with a spicy floral bite and a hint of mint. Have you tried the SweeTango apple yet? It’s only been around for a couple of years, but it’s become my favorite. Nice to hear from you, Maven! 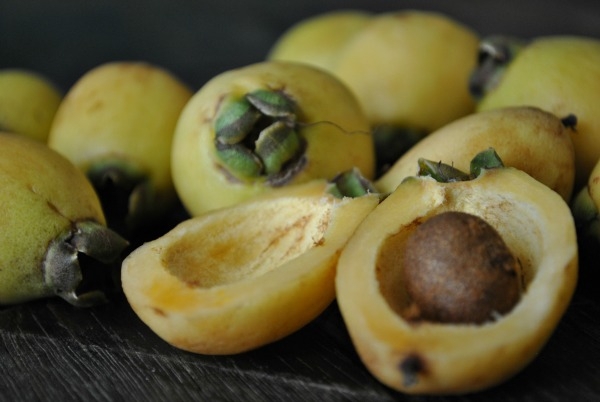 See, I would have cocked a skeptical eye and said – “Loquat?” Glad they were yummy. Where did the jelly dates come from? Thanks Megan! I had some computer issue and then some site issues. What a month! Glad to be back. 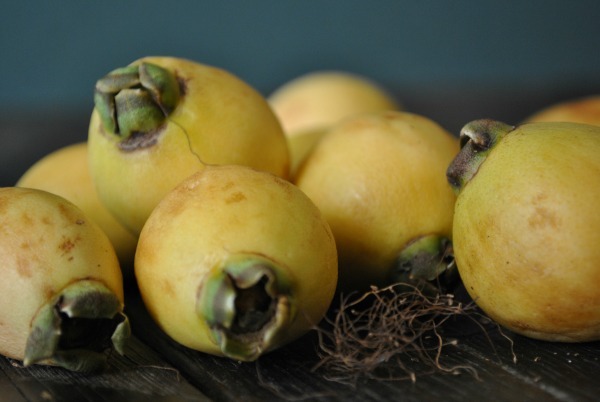 Both the jelly dates and the rose apples came from Gilbert and Lee Quintos Farms. I don’t recall where they are located. Have you had the jelly dates? Really interesting. I’m not sure if I’ll get a post up about them or not. We’ll see! So if it is not an apple, what family is it a part of? Is it an heirloom? Hello there! Neat post on these fruits! I’ve never heard of them before. Gilbert Quintos farm is from Fallbrook. We bought some persimmons from his booth yesterday! I didn’t see these rose apples or jelly dates. We’ll have to try some next time. Yay your website’s back! I was going through withdrawals when I ate my first mamee sapote and had to see your own tasting notes. Wtf happened? Steve! I wish I could explain what happened simply. Basically it looks my site got infected and then it kept coming back over and over. I finally had to switch to a new host. All clean and shiny now and being protected by a new team of people. YAY! Oooooo, I can’t wait for the cocktail. My grandmother (I don’t have three, unfortunately) lives on a farm. I visited this summer. They had boiled down rose petals with sugar to make a concentrate for Italian soda. It was so delicate and heavenly. Really, I felt I didn’t deserve it. I am also reminded of rose hip jelly that my grandma makes. The moral of the story: a cocktail that smells like heaven sounds much better than heaven covered in tomato sauce. Just me, though. That’s rose apple. A truly delightful fruit. This tree is outstandingly popular with the birds and the bees. The blossoms are full of hummingbirds, orchard orioles, and bees on our tree. Aloha! I have been trying to find how I can this seed for the rose apple. Cause I am from Hawaii but been living in Texas since 2004 and been wanting to eat this fruit, we call it Rosie apple in Hawaii. Please could you help me.